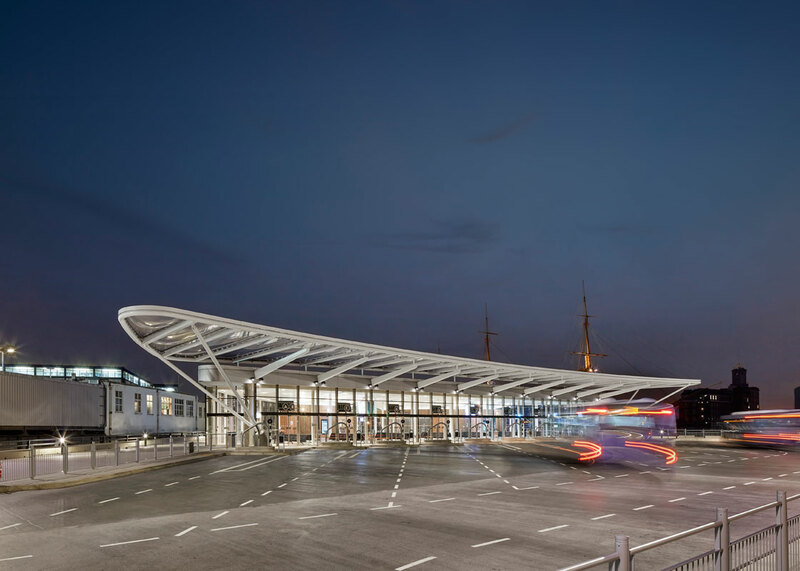 THE HARD DEVELOPMENT COMPRISES OF THE CREATION OF A NEW BUS INTERCHANGE AS PART OF A BROADER MASTERPLAN FOCUSING ON THE HEART OF PORTSMOUTH'S HERITAGE WATERFRONT AND DOCKYARD AREA. 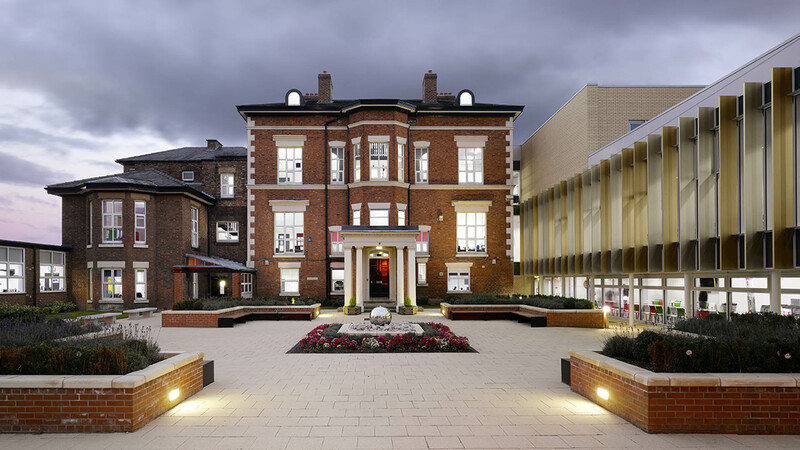 The Hard is part of a £1.8 billion investment planned for the city during the next 20 years. 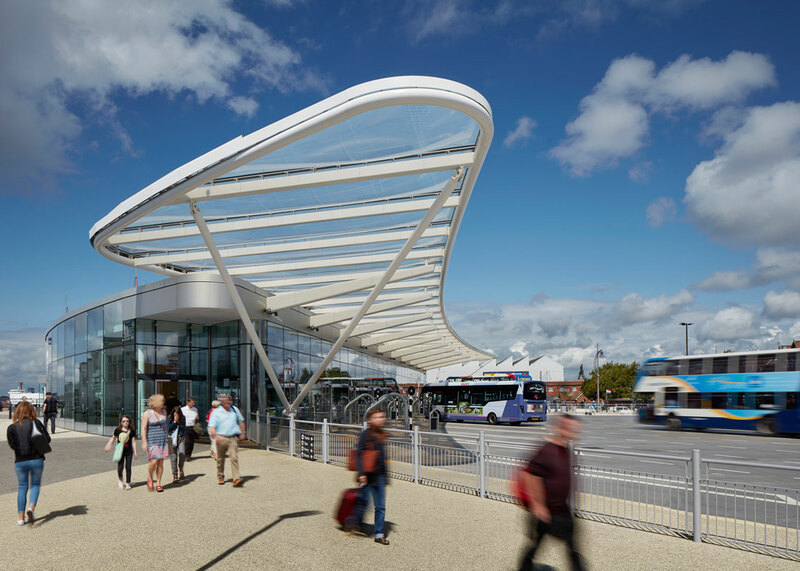 It is a hugely important transport interchange where bus, train and boat services come together and for many people, it is the first thing they see when arriving into the city. The old interchange proved unsuitable for modern transport requirements and it was deemed that by redesigning the layout of the site, the area could be better utilised and significantly help improve the safety for both visitors, as well as the local community. 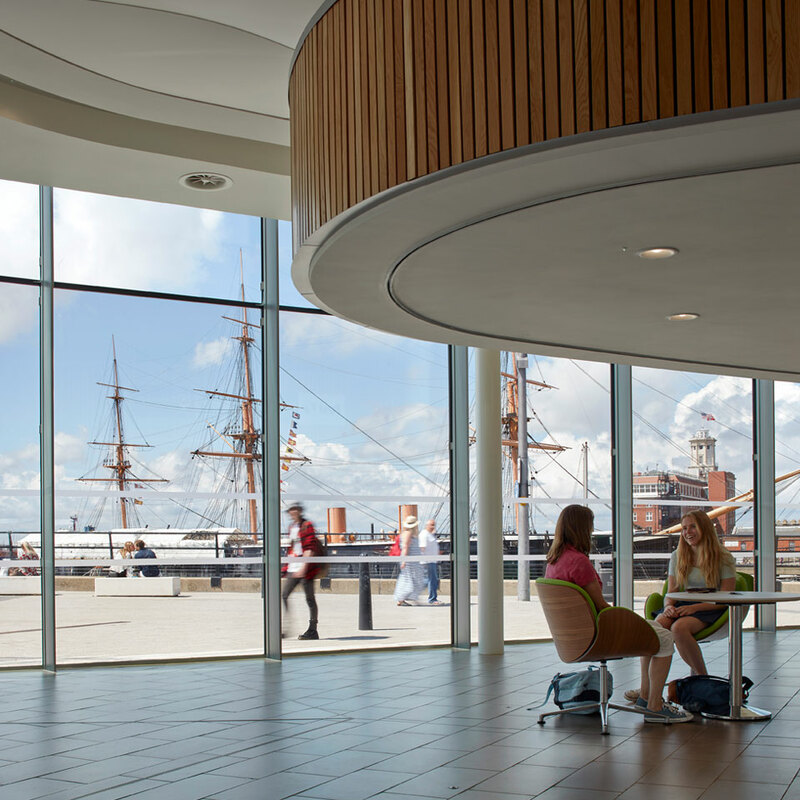 Due to the site location and the nature of the project a thorough transport plan was developed in collaboration with Portsmouth City Council, including extensive consultation with Portsmouth City Council Planning Authority and the Royal Docks Heritage team. 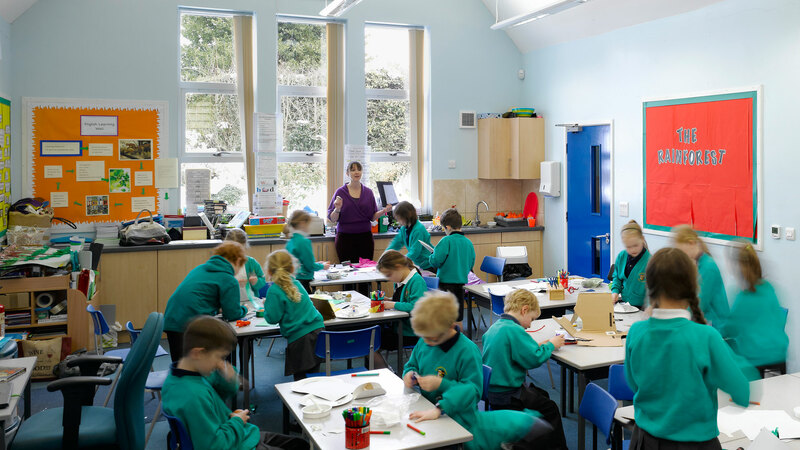 One of the major risks to the project was working over the sea on a concrete structure dating from the 1970’s that was itself undergoing extensive repairs as part of the broader redevelopment of the area. 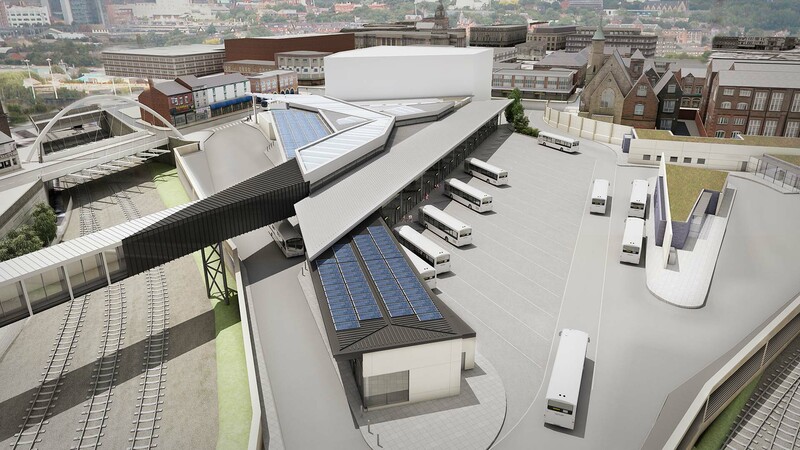 The new bus interchange provides ten, drive-in / reverse-out (DIRO) bus stands, a pedestrian drop off area with space for five vehicles and a taxi rank. 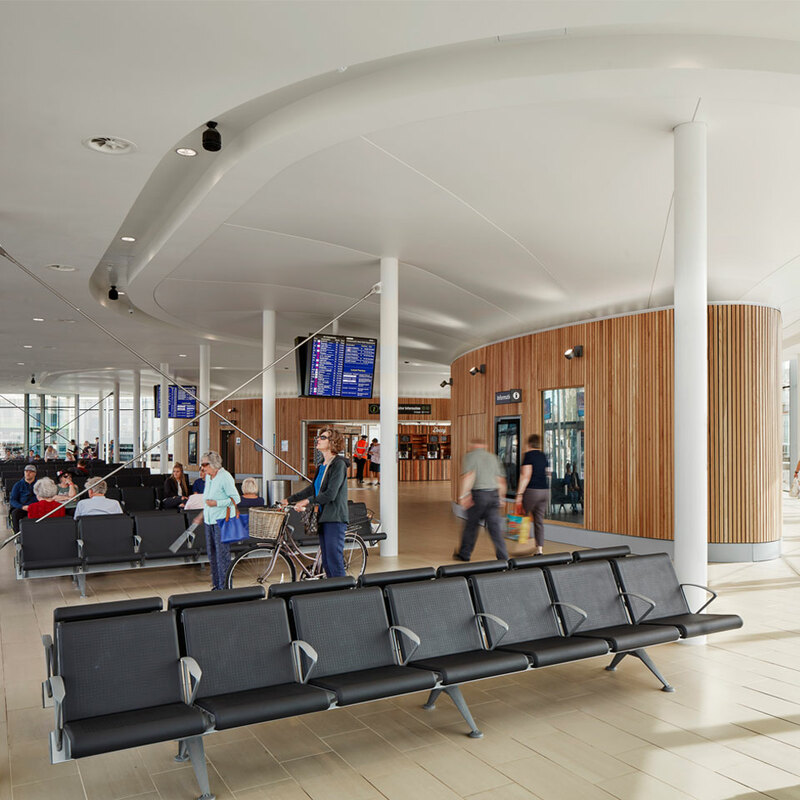 The building itself features a centralised concourse with ancillary areas and retail accommodation, as well as facilities to purchase tickets for bus travel. The main concourse contains interactive journey planning screens to assist passengers with their onward journeys, together with information screens for bus arrivals and departures. Passenger seating areas have been aligned with the overall structure of the building, to create design clarity and symmetry. The interchange’s façade employed the use of a new architectural mullion system by Saint-Gobain from the US, making The Hard one of the first projects in the UK to use the sleek aerofoil profile of die cast aluminium. 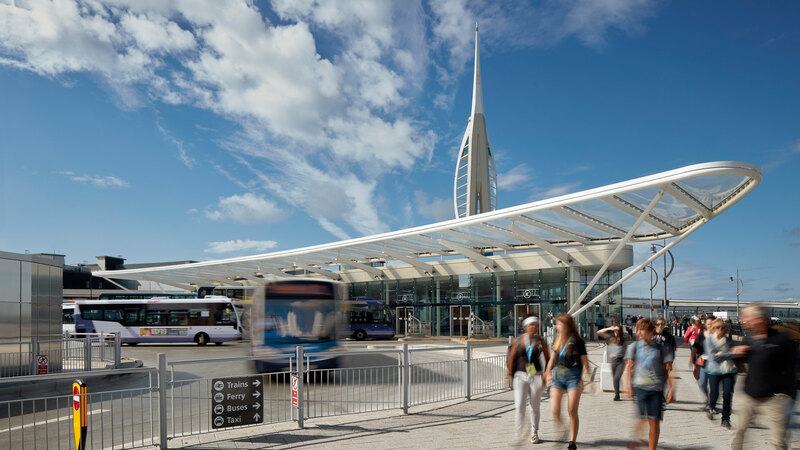 The newly landscaped site, situated along the water’s edge, creates a shared public realm between the new bus interchange and the existing train station, which can be utilised by patrons of the retail units in the train station. A series of paving bands radiating from the HMS Warrior docked across the harbour have been used to divide the paving along this harbour edge with seating and bollards distinguishing a segregated pedestrian route. 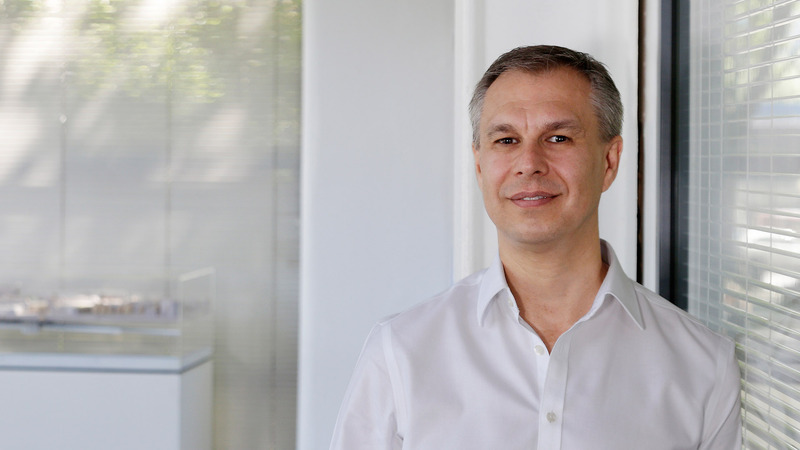 An early approach to using BIM on the project allowed structural and landscape disciplines to interact with the model from an early stage. This allowed coordination within the architectural model to resolve level changes and clashes with the existing below deck structure that was recorded using in-house cloud point surveying services.